Set in London in 1952, The Deep BlueSea is the story of Hester Collyer who attempts suicide following an affair with a former RAF pilot. Cracknell’s critically acclaimed new production stars Helen McCroy and Tom Burke. 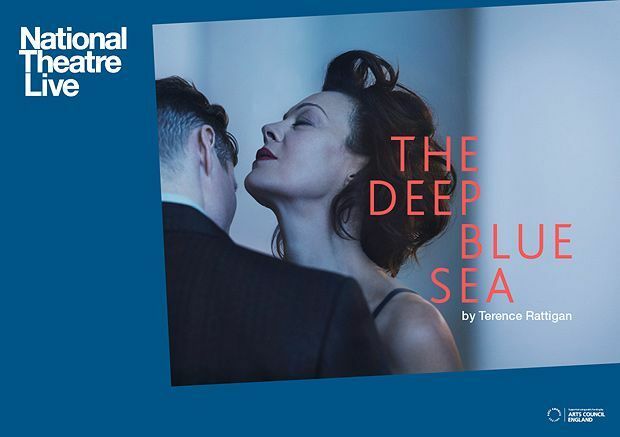 The Deep Blue Sea is directed by Carrie Cracknell with production designed by Tom Scutt, lighting by Guy Hoare, music by Stuart Earl, sound by Peter Rice and movement direction by Polly Bennett. Helen McCrory plays Hester Collyer; the full cast is James Alper, Marion Bailey, Katy Brittain, Tom Burke, Hubert Burton, Adetomiwa Edun, Elsie Fallon, Nick Figgis, Nick Fletcher, Yolanda, Kettle, Andrew Lewis, and Peter Sullivan. A flat in Ladbroke Grove, West London. 1952. When Hester Collyer is found by her neighbours in the aftermath of a failed suicide attempt, the story of her tempestuous affair with Freddie Page, a former RAF pilot and the breakdown of her marriage to a High Court Judge begins to emerge. With it comes a portrait of need, loneliness and long-repressed passion. Behind the fragile veneer of post-war civility burns a brutal sense of loss and longing.